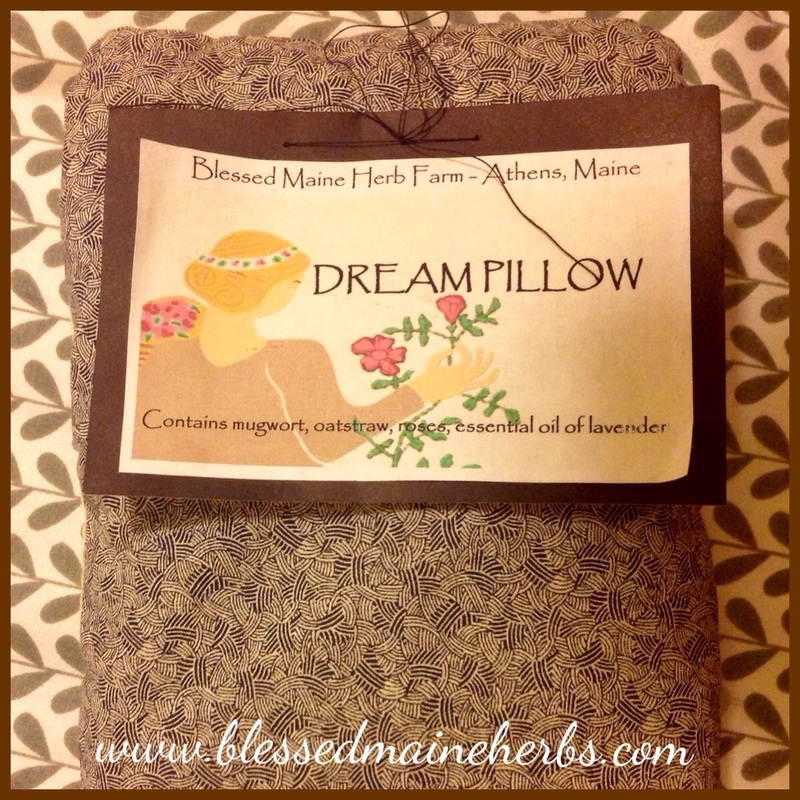 Herbal dream pillows are an ancient and time honored way to experience the subtle, or magical, properties of herbs. The aroma of lavender is peaceful, stress relieving and sleep inducing. We've combined our lavender with a few other calming and sleep inducing herbs from our gardens to create a dream pillow blend that will lull you to sleep and enhance dream recall. Contains MOFGA CERTIFIED ORGANIC lavender, lemon balm, roses, skullcap, oatstraw, holy basil and mugwort. Our dream pillows are lovingly hand-sewn of beautiful cotton materials. Each pillow is stuffed with aromatic herbs and has a pretty label sean on.